Henry's latest post highlights an endangered animal that he first learned about when he became ambassador for Durrell back in 2014 (see video/pics/details). 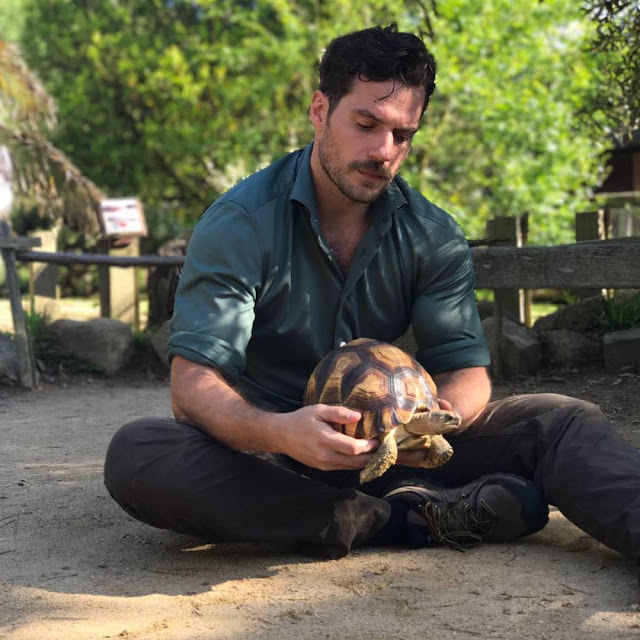 Luckily the Ploughshare Tortoise has Durrell fighting to save it, along with Henry who with your support is able to fundraise to continue the organization's work around the world. Learn more about the Ploughshare Tortoise at Durrell. Just look at this:)such a kind man, he has put himself at the turtle level on the ground. You are extraordinary henry.you are right u really was put here to protect these animals,to bring awareness to thier flight.And are doing a great job.we do pick our passion and yours is so sweet sup.Animals have agreat sense of love and they know,when u touch them you care,so keep up your love,and it shall be felt around the world. and this is why we love Henry so much! after a 13k race, all the press and meet and greets, he still went and said hello to the animals at the zoo! how cool is that!